Simple Stone Veneer - Legends Landscape Supply Inc. Affordable and accessible, while looking expensive and premium. 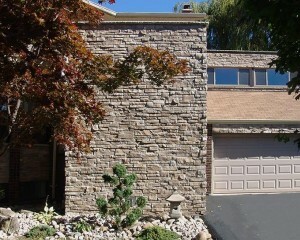 Up the ante for curb appeal in your neighbourhood with stone veneer. An easy update to a generic brick house, a stunning enhancement to new construction, or a unique interior statement, Stonerox veneer is affordable and accessible, while looking expensive and premium. Sit back and watch onlookers admire your new façade. The best part about installing stone veneer is that it is a manageable DIY project, or a quick and affordable professional install. Want to View Some Samples in Person? Visit our showroom to get a better visual on the products you can choose from. Our experienced landscape professionals can help you select the most complimentary items for your architecture, and help you make the right choices to achieve impactful designs.